"#1309" ["The Infinite a sudden Guest"] by Emily Dickinson, from The Complete Poems of Emily Dickinson, edited by Thomas H. Johnson. © Back Bay Books, 1976. 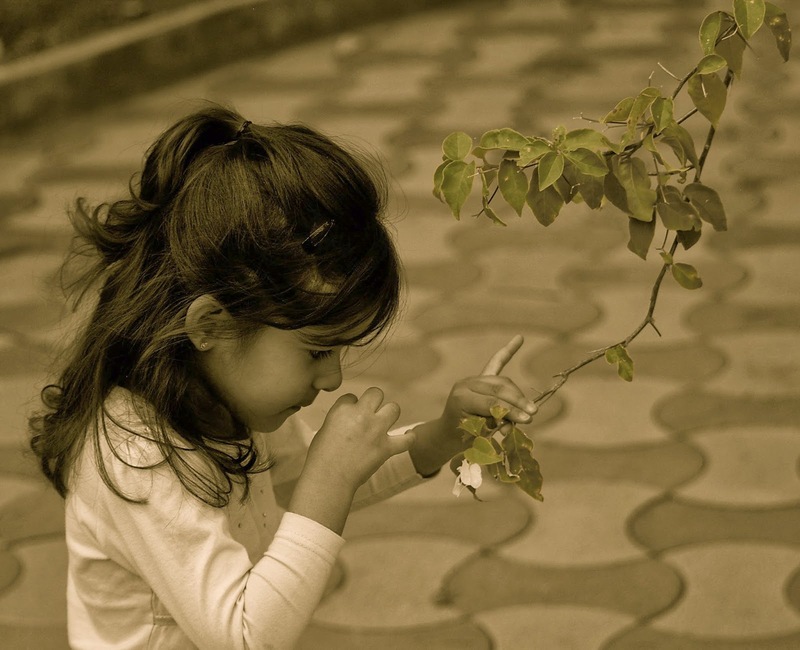 Photography credit: "Smelling the Roses," taken in India by☻☺ on March 12, 2009 (originally a mix of black and white and color). come to call for tea. greet with affection and happiness.